Can't get my keyboard to work! Whenever i map my keyboard or even use the default ones I still can't use it other than WASD and LRMB. 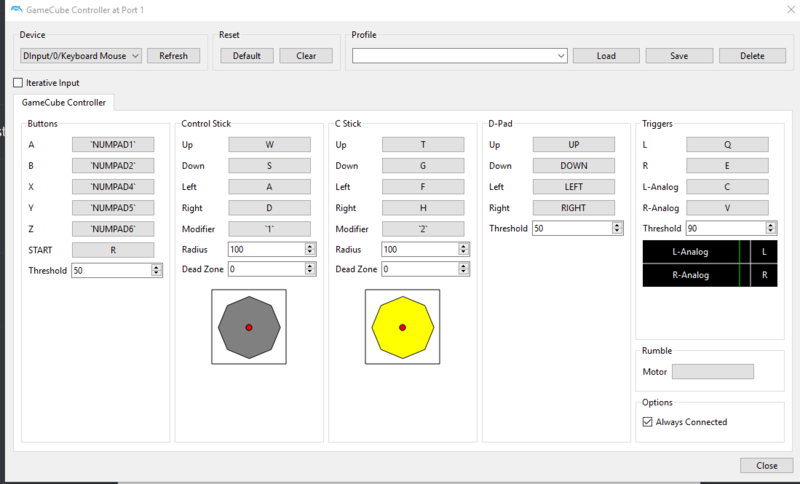 Have you tried setting threshold to 100? Keyboards have input issues if they don't have n-key rollover support so pressing a combination of buttons can be impossible in many ways. For example,trying to hold the button combo to exit a match in SSB Melee or Brawl. A solution for that specific thing would be to set a macro function to one key that presses every required button for easy match exits. I've tried the stable version and I can't access any of the keyboard functions anymore. I've tried setting threshold to 100 either but still no luck. I'm attempting to play Sengoku Basara 3. Maybe the game's the issue, not the emulator? Also the only thing that works are LRMB and I get this message in game when I click them. This game doesn't support GameCube controllers. 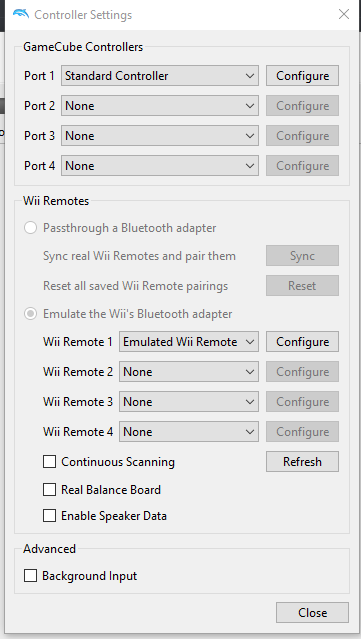 You'll need to configure an emulated Wii Remote with either a Nunchuk or Classic Controller.